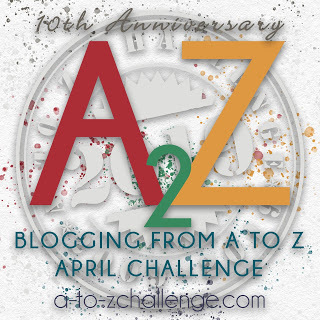 I am participating in the “April Blogging From A to Z Challenge” for 2018. Except for Sundays, but starting with Sunday April 1, I will be writing a post each day in April. Working through the alphabet, by the end of the challenge I will have posted 26 writings. I remember the exact moment I became a caregiver for the first time. I must admit, now that I am reflecting on the subject, I realize that up until that point I was probably pretty much self involved. At the age of 25, I gave birth to my first child, a beautiful baby girl. I was in love with this girl immediately. Funny how that happens. I was the oldest of six, so, I did have some experience with babies, but they were not my sole responsibility. The first two months of motherhood were pretty fantastic. I remember my mother saying something about me having a real life baby doll to play with. I would dress her in all of the cuteness. I held her all of the time. By then she was sleeping through the night, or at least most of the night. This one night, however, she was very fussy. I remember it was a Saturday night. Even though she felt a little warm to me, I didn’t think much of it. After a couple of hours of walking the floor with her, she finally fell asleep in my arms and I was able to lay her in her cradle. She woke very early with a raspy cry. When I picked her up, I could tell that she was feverish. I took her temperature. It was 102.5. Although it was a Sunday morning, I thought that I should give the doctor a call. Naturally, I got an answering service. At least back then you could talk to a human and not have to navigate through those annoying phone tree commands. The woman who answered said she would talk to the doctor and he would give me a call back. Now I fully expected the doctor to reassure me. I was pretty confident that he was going to tell me to give her some baby Tylenol and that would be that, but he didn’t. He told me to bring her right into the office. On a Sunday morning! I clearly remember the fear and the clutch in my stomach. And that’s when I became a caregiver for the first time in my life. It was at that exact moment I realized that there was something more precious to me than my own life. I was responsible for another’s well being. I was a caregiver. Now I must tell you that everything turned out fine. She had a bit of an ear infection. I think the doctor had me bring my baby into the office because I was a new mother. Perhaps that was why. Since that day, my caregiver role has expanded to include two more children. I also gave care to two parents at the end of their lives. Currently I am, of all things, caring for our 17 year old Maltese puppy. (That might be another post in itself). I’ve had many parental stomach clutching moments in my life since that first time. None can compare, though, to the moment when another doctor told us that Joe had stage IV colon cancer. That’s the one thing I could not and still cannot reconcile in my caregiver brain. How could I not give my son the care he needed to keep him alive?